People who are unable to communicate using their voices, sign language, or computer interfaces often send signals using switches. These signals can be used for many purposes, including controlling lights or communicating. A young student at The Carter School has a form of Cerebral Palsy that makes it difficult to exert more than a small amount of force, making it difficult for him to operate mechanical switches. Alternative switches, based on light or other signals, require too much fine motor control for this student to operate. This chime-based switch allows the student to send a signal by brushing his hand along a collection of hanging chimes—a solution inspired by his love of wind chimes. Taking into account his limited fine motor control, our team designed a switch that is activated by capacitive touch sensing. The design includes a custom, laser-cut acrylic frame, 16 chimes, an Arduino microcontroller, and earphone jacks. The design is complete and was tested by two students at the Carter School. The group received useful feedback that will be used to improve the design in the future. Individuals with multiple sclerosis often have decreased or unreliable control over the muscles in their legs. While riding a bike, their knees can swing inward and outward as they make a pedaling motion. Strong knee support is required to keep the rider’s legs stable enough to pedal. 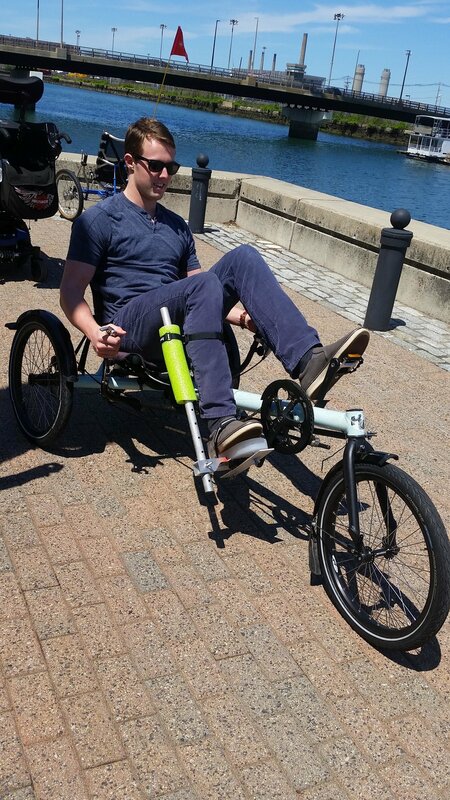 The team developed a joint fixture that stabilizes a bike rider’s knees. The design integrates a pedal base, attachment plate, support joint, anchor plate and physical support, all centered around the pedal base. The device is made out of aluminum and ABS plastic, which were shaped using a bandsaw and milling machine. Compared to previous designs, their approach is more stable and not prone to common mechanical failures. The device is adjustable for users of varying heights and can be securely fastened to any foot pedal. The prototype is complete and was tested. A 5-year-old girl has Leigh’s Disease, which affects her body’s muscular system. Without the ability to control her movements, she can’t move where she wants to go. A common challenge for kids with mobility disabilities is their inability to move independently, which limits their ability to socialize with their peers. The goal was to develop a way for the girl to move independently and socialize with her peers. The project built on the work of “Go Baby Go!”, a national program that encourages engineers and inventors to modify toy ride-on cars for young children with disabilities that affect their mobility. The little red fire truck was modified from the template developed by Dr. Cole Galloway, a professor at the University of Delaware. 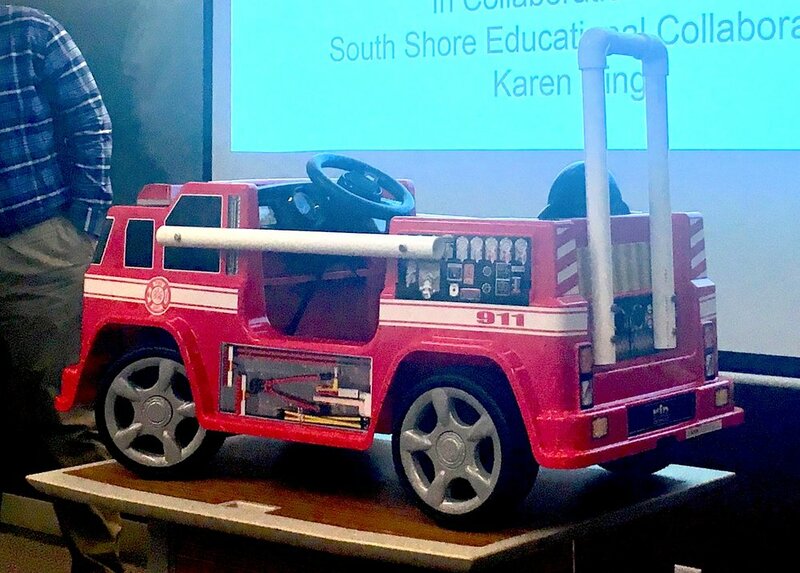 The fire truck was adapted to include a modified movement switch and PVC supports that allow the girl to rest her head while keeping her secure inside the car. Parents or teachers can also pull her around using built-in tow hooks. A Velcro-based restraint system keeps her safe in her seat, and it can be modified easily as she grows. The prototype is complete and was successfully tested by three students at the South Shore Educational Collaborative. 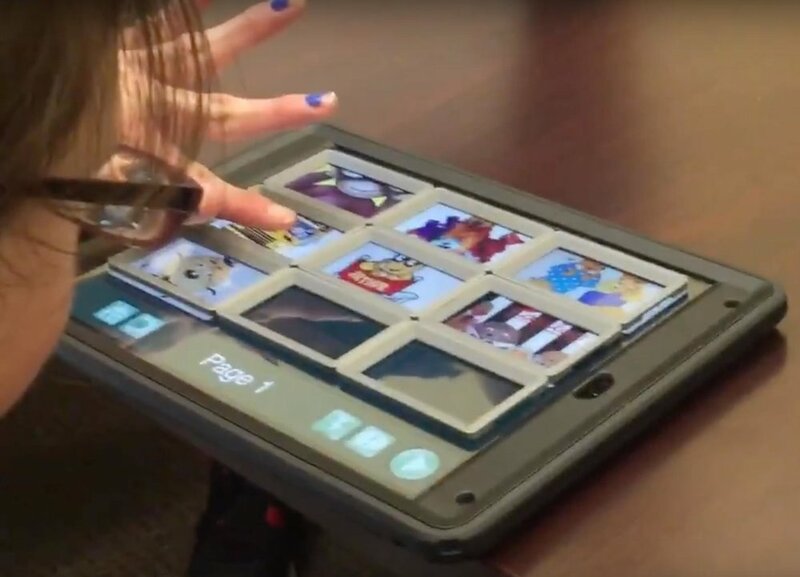 Children with developmental delays take therapeutic classes that use tablets. When using the tablets, children often have trouble locating and pressing the on-screen buttons. Sometimes they press a different button than they intend to. Teachers at the South Shore Educational Collaborative needed button guides that make it easier for children to identify and select the items on the screen during a lesson. The guides need to be easy for teachers to place and remove, hard for children to remove, and flexible enough to be customized for each software application. 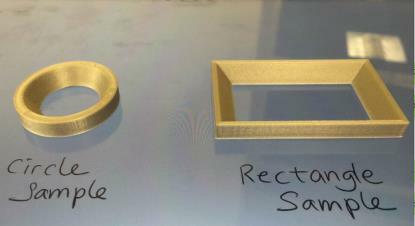 The team developed a collection of 3D-printed button guards that adhere to a tablet screen. The guards have sloped sides that guide children’s fingers toward the center of each button. Microsuction tape on the back of each guard secures it in place and allows teachers to remove and reposition it easily. The specialzed tape is designed to be removed and reapplied many times without losing its ability to adhere. The guards come in variety of sizes and can be positioned to accommodate a range of tablet software packages. The prototypes have been developed and successfully tested by end users at the South Shore Educational Collaborative.